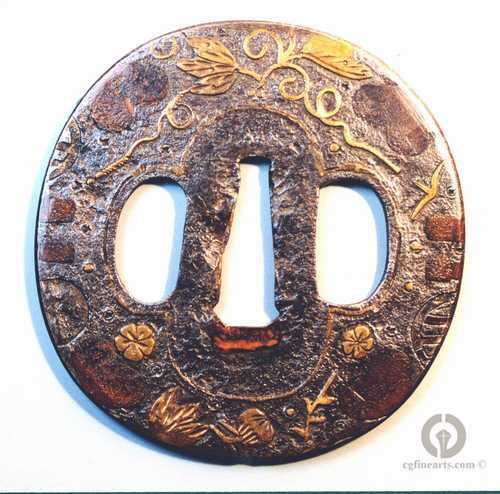 This is a classic Onin period (circa 1467) tsuba. These Tsuba were thought to be the first attempts at decoration by the Katchushi (armor makers) and they differed in their decoration techniques in that the brass pieces were pre-cast and set into corresponding depressions in the iron plate. 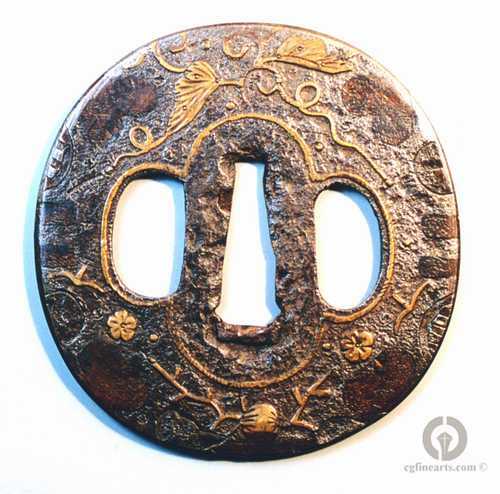 This is how they differed from Heianjo Zogan Tsuba, which were decorated with cut brass sheet. Hitsuana were generally not original and were added later, except with regard to smaller Tsuba. Those on this example are obviously original. Also contributing to the dating of this piece are the inlays of early Yamagane alloy, which are an earlier, darker form of the more familiar brass. 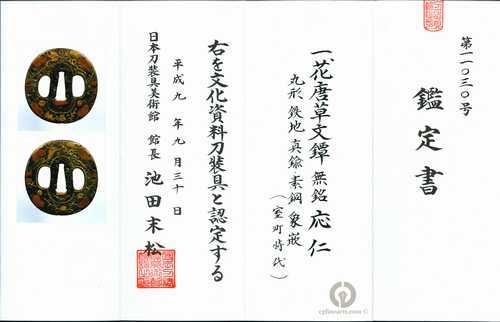 This Tsuba is accompanied by a certificate from the Sword Fittings Museum.